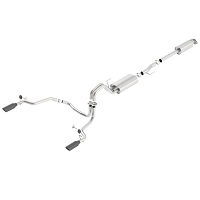 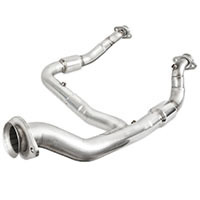 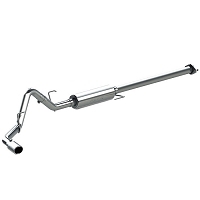 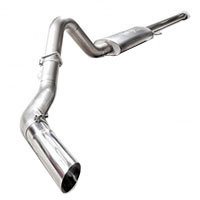 The stock exhaust system of the 2015-2019 F150 3.5L EcoBoosts is one of its most disappointing features, thanks to its weak sound output and back pressure that only keeps your power levels down. 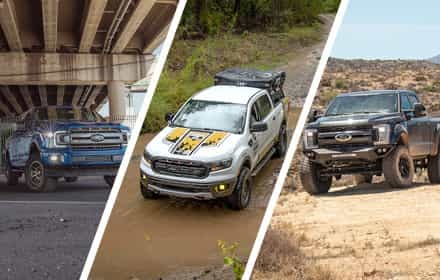 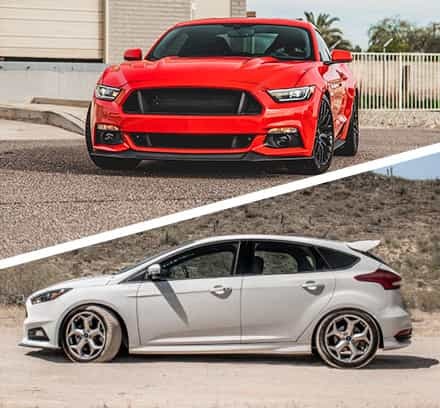 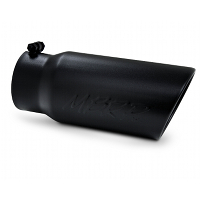 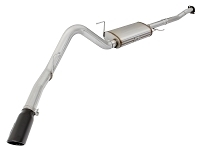 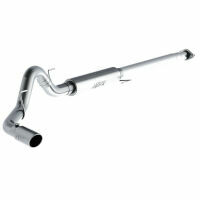 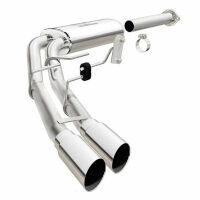 Our selection of aftermarket cat-backs will get you the best sounding ecoboost exhaust for your truck, while performance downpipes will greatly increase your F150's power outputs with the right custom tuning. 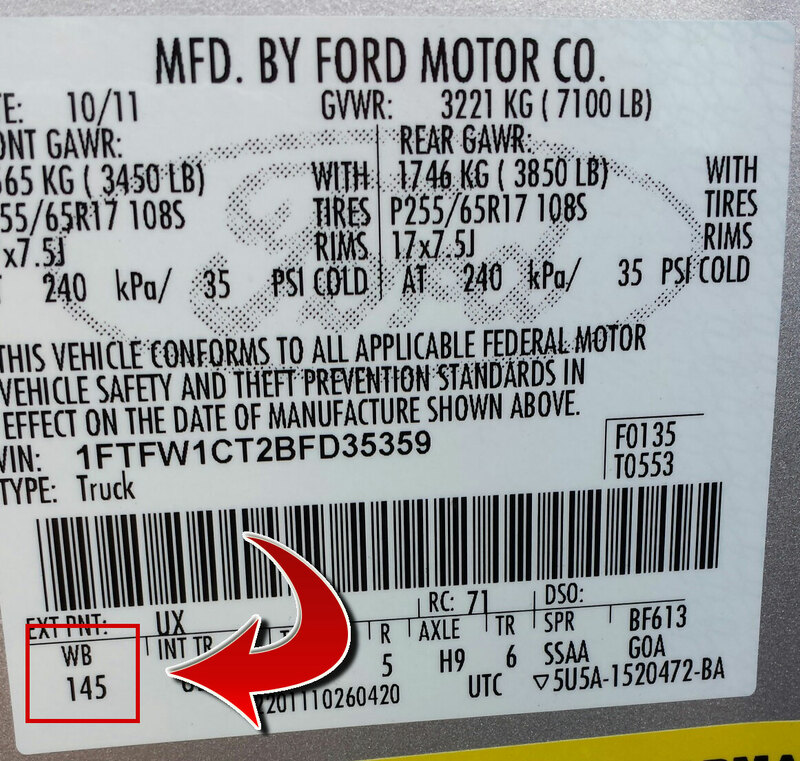 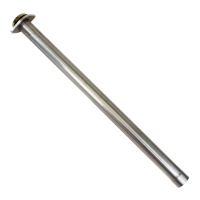 If our breakdown didn't help you out much, then you can check your driver's door information sticker to find out your wheelbase, which is listed under "WB" beneath the bar code and paint color code. 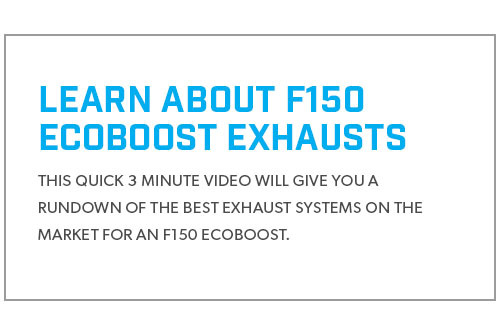 Check the image below for an example. 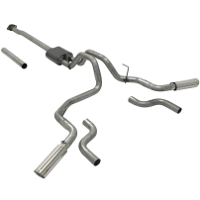 While the main purpose of your average cat-back kit is to give your 2015-2018 F150 3.5L EcoBoost a more aggressive sound, and above-average cat-back system will get your awesome truck a great look and sound. 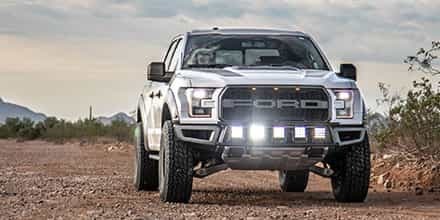 MBRP's Black Series Pre-Tire Exit Cat-Back Kits is one of the most unique-looking systems that you can put on your truck, and features an SVT Lighting-Style twin tip that exits before your F150's passenger's side rear tire. 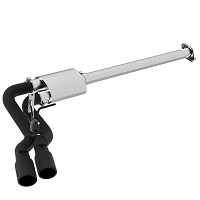 The Black Series Kit even comes topped off with a black ceramic coated finish that makes it perfect for any truck trying to get rid of their chrome. 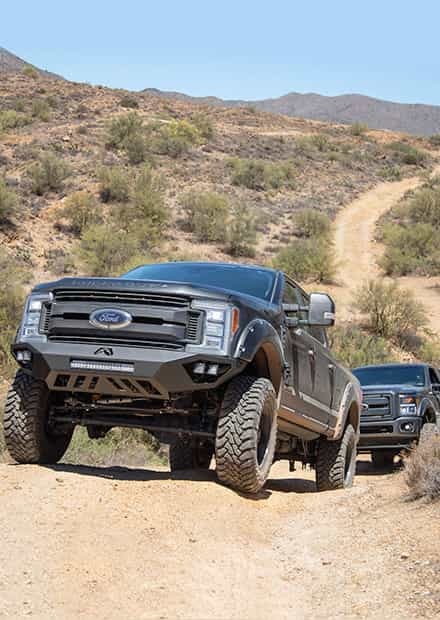 We were going for an awesome black-on white color scheme with our 2015 F150 3.5L EcoBoost XLT Project Truck, and the MBRP Pre-Axle Black Series ticked all of our boxes for both looks and sounds. 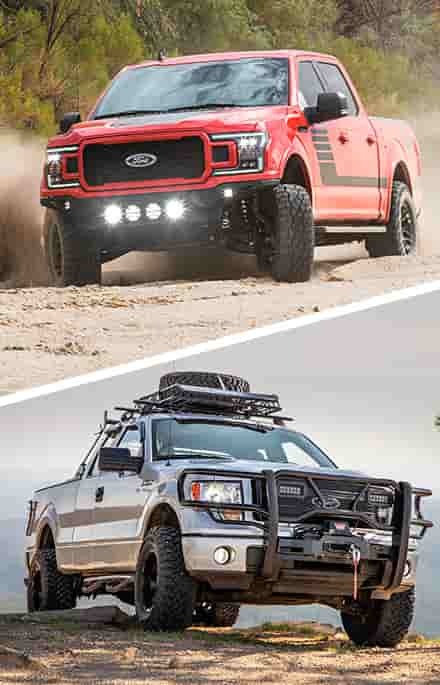 For our 2015 F150 3.5L EcoBoost Lariat Project Truck, we decided to go a little more subtle with an MBRP 3" Installer Series Cat-Back Kit. 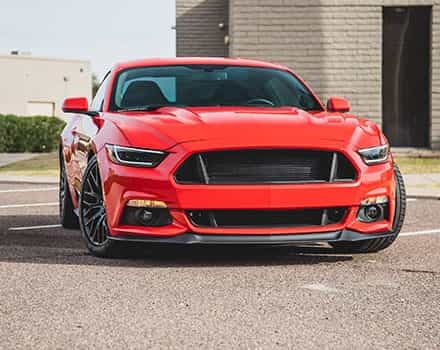 The MBRP 3" System features a near-stock look, but comes packing a much more ferocious sound so that your 3.5L EcoBoost gets an aggressive, new tone without overly changing up your F150's looks.